No, seriously, he wrapped up with, “How shall we live.” Hebrews taught us that Jesus is sufficient for everything we need, and that He equips us today for today. We have everything we need in Him to love, to worship, to serve, to study, to do everything and anything God asks us to do. Now we’re going to spend two weeks on the book of Esther and see God’s people under a time of difficulty, and see how God calls His people to do His will at the time He calls them. Two weeks is really too short to do the book of Esther justice. 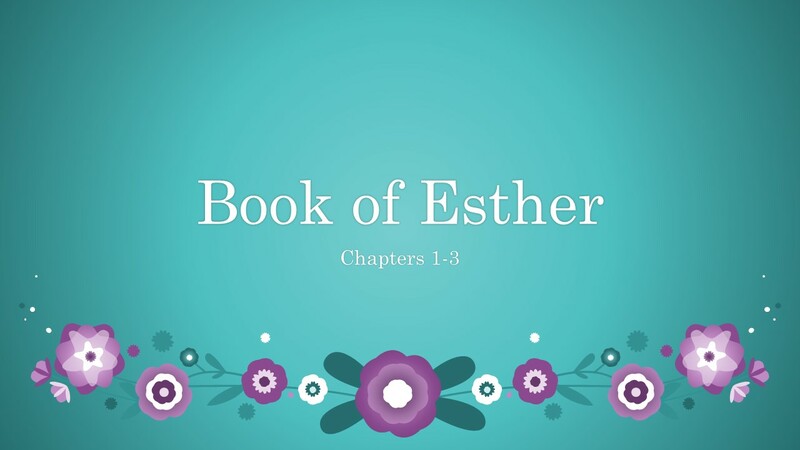 The history, the life lessons, the imagery, the symbology in Esther is amazing. We have a soap opera to review here, there are a lot of people involved right up front. Let’s talk about the book itself. The book of Esther is a historical novella, intended to teach the Jewish people of the history and significance of the feast of Purim. The book is interesting for what it does not mention. It doesn’t mention God, or the Law, or the Torah, or Jerusalem. It’s a story. A story of a simple Jewish girl and her uncle and how they live by faith in a hostile land. 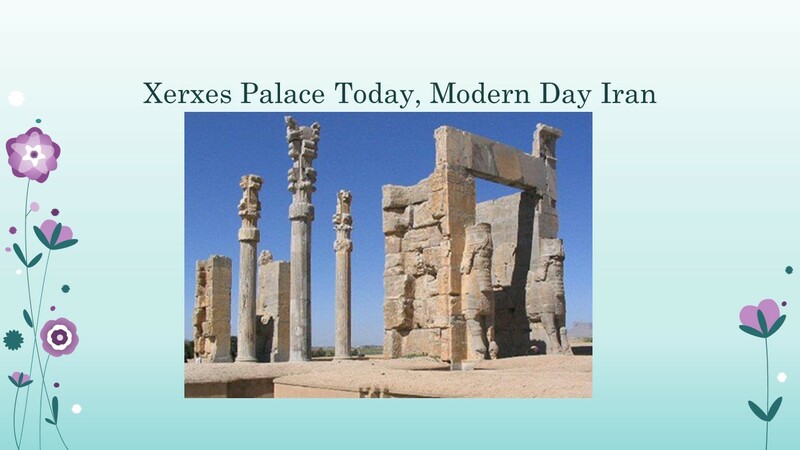 Both lived in the ancient kingdom of Persia under the king Ahasuerus, probably from 486-465 BC. 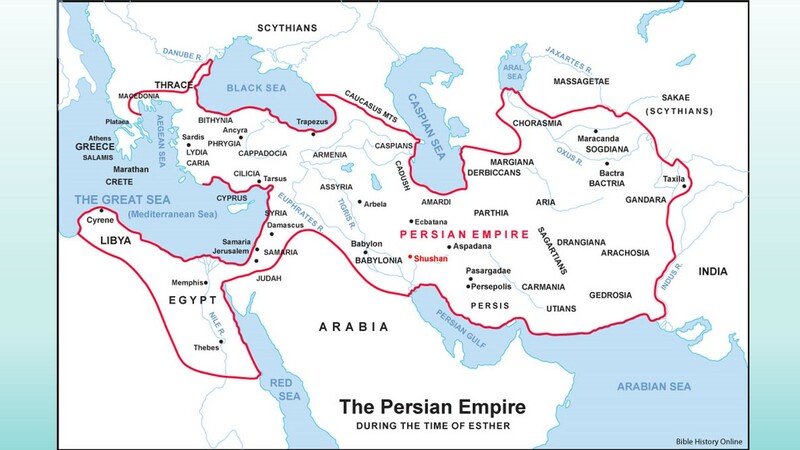 Persia at this time was huge; the book of Esther, chapter 1:1, says it included 127 provinces. Modern countries which were once part of the Persian Empire include northern Greece, Macedonia, Bulgaria, Turkey, Syria, Lebanon, Israel and Palestine, Jordan, Turkey, Armenia, Georgia, Abkhazia, Chechnya, Ossetia regions, Azerbaijan, Iran, Iraq, Kuwait, Egypt, parts of Libya and Sudan, Turkmenistan, Uzbekistan, parts of Kazakhstan, Tajikistan, Afghanistan, Pakistan and parts of Kyrgyzstan. That’s a huge swath of civilization. So how did a simple Jewish girl in exile become Queen of Persia? Well, you can’t have a soap opera without a cast of characters. Mordecai the Jew. He’s the son of Jair, tribe of Benjamin. He lives in Susa in the center of Persia. The Talmud records his name as Mordechai Bilshan, and he’s also mentioned in Ezra 2:2 and Nehemiah 7:7 as one of the exiles who returned to Jerusalem to rebuild the temple under the Persian king Cyrus. We know that was in approximately 537 BC, which means Mordecai is about 64 years old. Interestingly, the Talmud also lists Mordecai as a prophet who prophesied in the second year of King Darius, and also lists Mordecai as a direct descendant of Kish who is the father of the 1st king of Israel, Saul. So, Esther is actually Mordecai’s cousin, though Mordecai is the much older of the two, and since he adopted Esther as his own daughter, sometimes he’s Uncle Mordecai. We also have Esther who is called Hadassah. She’s a Jewish orphan girl. Esther is her Persian name, Hadassah is her Hebrew name. Mordecai forbids Esther to reveal her nationality and family background, so when she’s around Persians, she’s Esther. She’s described as beautiful and having a lovely figure. The king of Persia is Ahasuerus, which is a weird name. Ahasuerus is a Latin word which is derived from a Hebrew word. Other translations begin with a Greek word and is translated Xerxes. Since Ahasuerus is so hard to spell and pronounce, I’m going to call him Xerxes. Queen Vashti. Traditional Jewish teachings about Vashti describe her as wicked and vain, the great-granddaughter of Nebuchadnezzar II of Babylon. She’s married to Xerxes. I’m thinking that week-long drinking binge isn’t the best environment for making serious decisions. It’s clear from the context that Xerxes wasn’t trying to complement his wife, but to show her off as a trophy to his drunken friends. After she refuses, king Xerxes doesn’t lash out at her but instead looks for a way to manipulate the law of the land to punish her and redeem his pride. Pretending he’s helping all husbands in the kingdom, Xerxes banished Vashti from ever seeing Xerxes again, and her position as Queen will be given to somebody else. Exit Vashti, stage left. End Act I. As we move into chapter 2, Xerxes recovering with his hangover. One his advisors suggests that Xerxes should hold the world’s first Ms. Persia contest and then Xerxes can select whoever he wants. All of the beautiful young virgins throughout the kingdom are to be brought to the palace and given spa treatments until they’re ready to see the king. 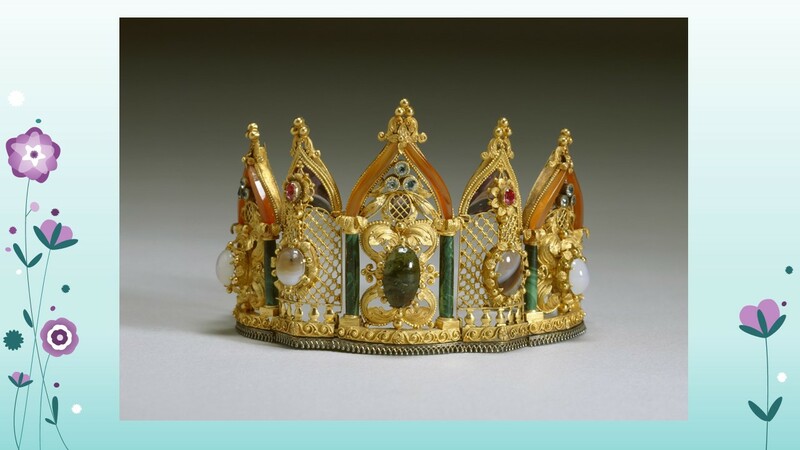 Esther is made Queen of Persia. A simple Jewish orphan, now in the palace with a crown on her head. An incredible turn of events for her. You know, we’ve been talking about how God equips us today for today, and the story of the faithful Jewish orphan girl demonstrates God’s gifts. Through a series of “coincidences,” Esther was elevated to a very high status, the Queen of Persia. How did she arrive here? Through submission to her faith, submission to her cousin who was her acting father, and because of her inner and external beauty. Her beauty was a gift from God, and like all gifts, we are entrusted by God to use it wisely, for His glory alone, in obedience to Him. The old Queen Kardashian, er, I mean Queen Vashti, we’re told, was very beautiful on the outside. But she was not going to use her God-given beauty to further God’s purposes, so she was removed, and Esther became queen. Esther also has both external and internal beauty which we will be seeing soon. And Mordecai? He’s exactly where God wants him, too. During his daily visits to see Esther, he overhears a plot to assassinate the king. He passes the news to Esther who in turn reports it to the king. Mordecai’s courageous actions are recorded in the king’s annals in the presence of the king, Mordecai is given credit for thwarting an assassination, and he’s a hero. We’re supposed to be good citizens, for all governments serve at Gods command, and Mordecai is faithful to God. But by doing the right thing, Mordecai gains some unwanted attention. Up to now he’s been happy as just a simple Jew living in exile. I’ve always wondered about this. Chapter 2 ends with Mordecai foiling the assassination, and Chapter 3 begins with “After these events,” and Haman is honored. Is it because Mordecai was a Jew? Was it because Haman took credit? And of course the Israelites were obedient, right? But nooooo… You may remember this story, God has commanded Saul to put all of the Amalekites to death, but Saul gets this idea to spare King Agag of the Amalekites and keep the sheep and cattle and fat calves and lambs. The next morning, Saul tells Samuel, “I did it, I followed the Lord’s instructions!” And Samuel is like, “Do I hear sheep?” And Saul says, “Ah, the sheep. Well, um, well we saved Agag and the sheep and cattle, but, um, other than that we followed the Lord’s instructions.” The Lord was trying to protect Israel by ordering Israel to destroy the Amalekites, and the Amalekites kept coming back and attacking Israel. Now, another 500 years pass, and now we find Haman, an Amalekite and descendent of Agag, has been elevated to a position of power in the kingdom of Persia where the Israelites live. This is really bad news for the Jews like Mordecai and Esther living there. King Xerxes orders all the royal officials to bow down and pay honor to Haman. Mordecai refuses to bow down. Now, it’s not against Jewish law to bow down and give respect. The Jews bowed down before their own kings in other books of the bible, like 1st and 2nd Samuel and in 1st Kings. And Mordecai also almost certainly bowed down to King Xerxes or he wouldn’t be alive. Whichever one it was, Haman certainly noticed the one man standing while everybody else at the king’s gate bowed down to him. The other royal officials tried to pressure Mordecai to comply, but Mordecai refused, obeying his faith. The others in the kingdom must have been distressed, verse 3 says the other spoke to him every day, asking Mordecai why he’s disobeying the king’s command. Haman was enraged that this one man would not pay homage to him, and when Haman found out Mordecai was a Jew, he wasn’t satisfied with just killing Mordecai. No, Haman decided this would be his chance to destroy all the Jews. A religious, ethnic cleansing. Before we leave this passage, let’s look at Esther 3:7. As Pagans, it was common at the time to consult astrologers for serious decision, and Haman consults the “stars” to pick the right time to approach the king. Lots would be cast, most likely a colored or dark pebble would be drawn from others to determine the right month, day and time for the extermination of the Jewish people. This process is known as “Pur” or to “cast pur,” from the Persian language and practice. Hence, the Feas of Purim that the Jewish people celebrate, a feast of deliverance. Haman could not come right out and tell King Xerxes he wanted to kill all the Jews. Xerxes would know that the Jews were loyal subjects; Mordecai had himself saved King Xerxes life. So Haman mixes in half-truths… a “certain” people. They’re… “different.” They don’t… “obey.” You shouldn’t have to “tolerate” them. By laying out an incomplete picture with half-truths, Haman was able to convince the King that these “certain people” should be killed. control freaks. Instead of focusing on attempts to save the lives of unborn children, they paint us as trying to control what women do with their own bodies. Hate-mongerers because we encourage people to turn from sinful ways. Uptight people that do not want to have fun, or let anybody else have fun. The NBC show “The Book of Daniel” that portrayed Christians as hallucinogenic, influenced by drugs and dysfunctional. No recognition of God in our schools. No Christmas, no Easter. We control our own destiny, evolution happens all by itself without any influence by our grand designer. “Under God” removed from Pledge of Allegiance (which is still being fought in the courts). Dispatches were sent by couriers to all the king’s provinces with the order to destroy, kill and annihilate all the Jews — young and old, women and little children—on a single day, the thirteenth day of the twelfth month, the month of Adar, and to plunder their goods. A copy of the text of the edict was to be issued as law in every province and made known to the people of every nationality so they would be ready for that day. All of the Jewish people are scared, mourning, praying, crying. Mordecai sends a message to Esther, who’s protected inside the palace. Mordecai tells Esther to go to the king and beg for mercy for the Jews. This is a terrifying request to Esther. 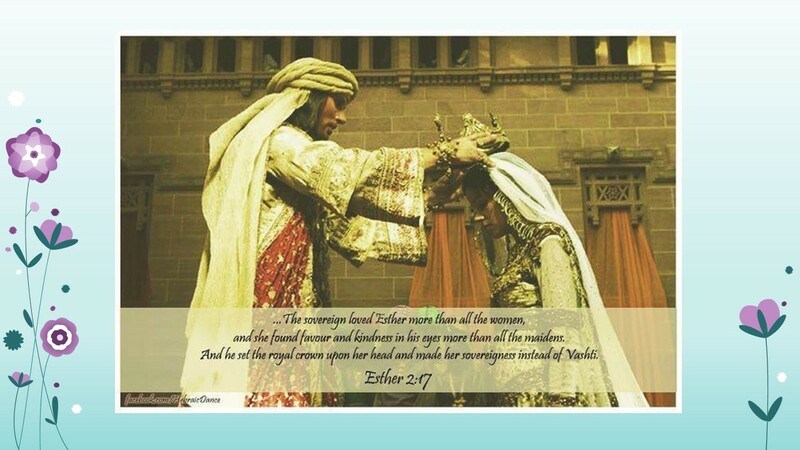 As queen, Esther did not have a husband/wife relationship like we understand it today. Esther was a servant of the king, and she could only appear to him when summoned. The law was strict – if you crash the king’s party, you die. There was a possibility that the king could hold out his golden scepter and your life would be spared. But whatever relationship Esther and the king had, it was not currently in the best of conditions. Esther had not been summoned by the king for 30 days. She was certain that to appear before the king would mean her death. How do we understand God, who created us and everything we see? Do we decide who He is, and then assume God will do our will? Or do we decide to be obedient and try to understand what God wants? Do we stay safe, keep silent, avoid taking risks? Or do we try to be obedient? Fear not. God’s got this. God’s will will be done, whether we obey or not. We can choose to participate, be a spectator, or deny Him altogether, but we cannot thwart God’s will. God sees history all at once, past, present and future. God creates us for a purpose and plants us right where we are. Your job, your family, your pretty face, your intelligent brain, your feelings, your money, your talents have all come together for this one instant, this one instant that will never occur again. In another minute, in another hour, this moment will have passed. Nevertheless, each of you should live as a believer in whatever situation the Lord has assigned to you, just as God has called you. This is the rule I lay down in all the churches. Was a man already circumcised when he was called? He should not become uncircumcised. Was a man uncircumcised when he was called? He should not be circumcised. Circumcision is nothing and uncircumcision is nothing. Keeping God’s commands is what counts. Each of you should remain in the situation you were in when God called you. Were you a slave when you were called? Don’t let it trouble you—although if you can gain your freedom, do so. For those who were slaves when called to faith in the Lord are the Lord’s freed people; similarly, those who were free when called are Christ’s slaves. You were bought at a price; do not become slaves of human beings. Brothers and sisters, all of you, as responsible to God, should remain in the situation in which God called you. 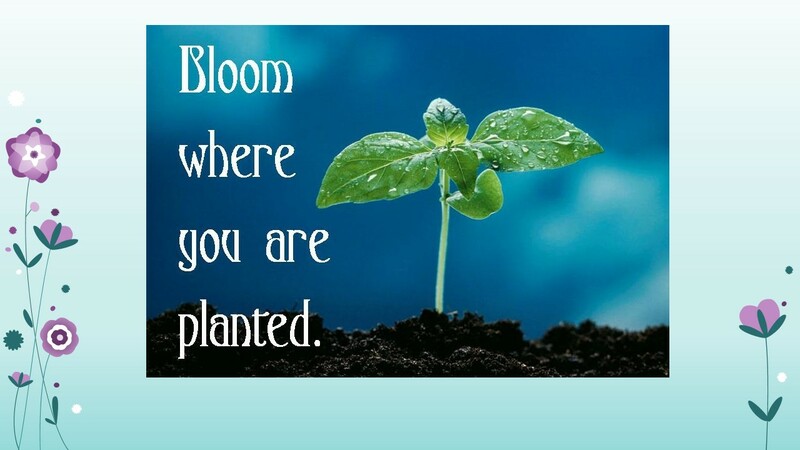 In other words, Paul tells us as Christians we are to bloom where we are planted. How? It says, right in the middle of those verses, “keeping God’s commands is what counts.” Not the legalistic old testament stuff, but the attitude and love of Christ Jesus, with all your words and all your actions. Sometimes we feel stuck in a rut and can’t bloom. I read a story about a woman who was complaining about working with heathens. The boss was mean, her coworkers poked fun at her faith, and out of a hundred employees, she was the only Christian. Her pastor complimented her and told her God must think a lot of her to trust her with 100 people. If she quit, the only light these people have would be gone. Maybe she wasn’t stuck. Maybe she was just planted. And don’t fall for that “grass is always greener on the other side of the fence” philosophy. The only reason grass is green is because it’s watered and cared for. If you want your grass to be green, bloom where you are planted. Mordecai knows all this. Esther is exactly where God put her. God removed Vashti and placed Esther as queen. She had every resource she needed to do God’s will. But will she do it? Will she risk everything given to her to do what God wants her to do? God had given Esther so much. God gave her external beauty, and it was her beauty that gave her and her alone access to the king. Would she put her beauty on the line and risk death? God gave her position – she was queen and had access like nobody else. Would she put her position as queen on the line and risk death? Esther also had her inner beauty and love for her people. Most important, Esther had the entire kingdom of heaven behind her. She had everything she needed, but would she risk it, or would fear hold her back? Mordecai delivers at this point one of the most memorable lines of the bible. He tells Esther that God will accomplish His purpose, nothing she does or does not do will change that fact. If Esther will not do it, the God will save His chosen people another way. Esther’s choice is whether she is going to participate in God’s plan and realize that her entire being, her beauty and position, was orchestrated by God, and God will accomplish His will through His obedient people. Mordecai also tells her that if she’s trying to save her own skin, she’s probably going to lose that, too. She’s a Jew – if the Jews are eliminated, that includes her. She cannot save her own life. All she can do is choose to be obedient, or not. The entire purpose of Esther’s life had come to a point of decision. Her entire existence had a purpose. What was more important, being queen, or being the liberator of the Jews? God will not fail to keep His promises or fall short of His purposes, therefore, the deliverance of the Jews was certain. God had made Esther queen so that she could deliver His people. God places people exactly where they can serve Him. Examine yourself and where you are in this world. God placed you right here for a reason. Our talents, our money, our selves should be used for God’s purposes, every minute of the day. Take a risk at being uncomfortable for God. Bloom where you are planted. What did Esther do? Come back next week, and Libby will tell you.